Get more info about the “Halloween Neon” pack here. Get more info about the “Planet Halloween” pack here. Get more info about the “Halloween Glow in the Dark” pack here. 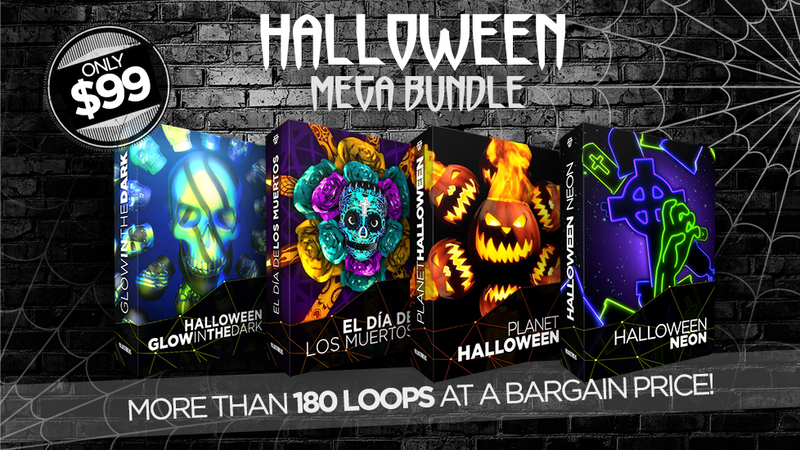 Get more info about the “Halloween El día de los muertos” pack here. The Bundle contains more than 180 Full HD Seamless VJ Loops at a bargain price. This collection is perfect for VJ´s, halloween parties, trick or treat situations, scary nightclubs, spooky led screens, projections, concerts, stage decoration, video backgrounds and many more.